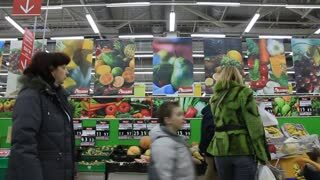 Search Results for "timelapse supermarket"
MOSCOW, RUSSIA - CIRCA OCTOBER, 2014: 4k timelapse, shopping in Auchan hypermarket, view from shopping trolley. Auchan is a French international retail group headquartered in Croix, France. SAMARA - MAY 5: (Time lapse) People pays cashier at superstore Auchan, close-up, on May 5, 2014 in Samara, Russia. SAMARA - MAY 5: (Time lapse) People are moving to the electronics department at superstore Auchan on May 5, 2014 in Samara, Russia. Shopping in a food grocery or department store with view from shop cart emptying food and goods fast motion timelapse onto conveyor belt at cash register.. Fresh fruit and vegetables then frozen foods with a woman buying products. Shopping in a grocery, fruit or department store with view from shop cart walking through isles. Fresh fruit and vegetables with a woman buying apples. Fruit and vegetable department. Don Despain of Rekindle Photo. 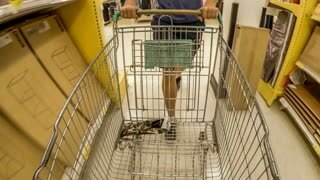 Shopping in a grocery or department store with view from shop cart as people walk through isles. Don Despain of Rekindle Photo. 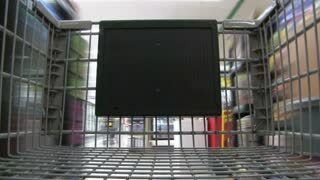 Food grocery shopping fast timelapse POV. Shopping in a grocery or department store with view from shop cart walking through product isles. Buying food, beverage, hardware and clothes for summer vacation and celebration. 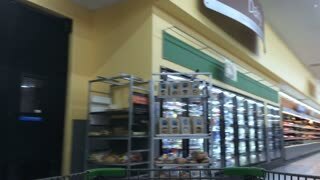 EPHRAIM UTAH JUL 2013: Grocery food store empty cart fast timelapse. Grocery food shopping for active summer holiday and vacation. Economic stability to small rural community by taxes and employment.